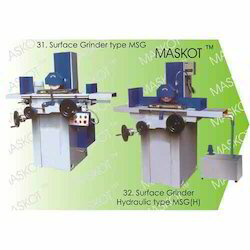 We are engaged in manufacturing a wide range of Surface Grinder Model which is durable, corrosion-free and reliable. The machine is used for grinding purposes and is available in various specifications. Our clients can avail from us a wide range of Hydraulic Surface Grinders, which is fabricated using quality basic material. Further these are capable to take the gunting of various heavy material. The machines are highly appreciated by our clients for features like robust construction, longer service life, easy operation & less maintenance. Our organization has successfully expanded its business in market owing to the offered elevated quality range of Hydraulic Head Surface Grinding Machine Specially For Automotive Engine Block and Head. 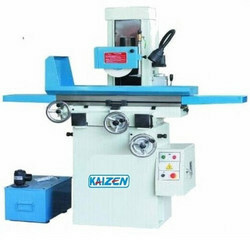 We offer a Head Surface Grinding Machine with various qualities like as best equipment such as electrical control system, anti friction material, set service tools, independent lubrication system to the guide ways for wheel head side and one motor in wheel head. Up and down movement of the wheel head at normal and rapid feeds. Our range of High Precision Surface Grindersis manufactured from quality-tested raw material. Known for its quality, durability, corrosion resistance and others, these high precision horizontal surface grinders finds applications in various automobile, electronic, electrical industries to name a few. We also meet customized requirement for our clients benefit. Our clients can avail from us Surface Grinder machines that are used to smoothen the surfaces of stones, glasses, metals and non-metal objects. These machines are appreciated for their hassle free performance, low maintenance and operator-friendliness. We are hugely presenting an inclusive range of Head Surface Grinder. The presented products are fabricated with high grade of material along with modern machineries. Also, to remove all the potentials of flaws, these undergo a variety of check-ups prior final dispatch.